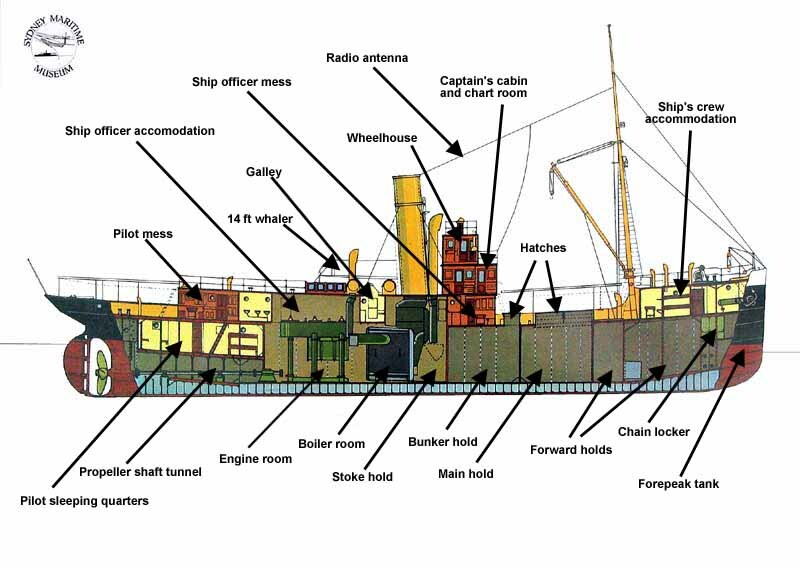 This would align her with her last layout, engineering (including oil fuel) and fit out. The configuration represents a concept rather than an accurate time frame, which allows the return of earlier detail such as timber rail cappings. It also allows presentation of the vessel’s best features. No advantage would be served by returning her to an earlier configuration as she remains today basically “as launched” with only minor changes. John Oxley with oil firing has great technical significance while it also serves a practical need. The vessel will be easier to operate with oil firing. As an oil burner she will produce minimal smoke (less EPA implications). As well, the labour to coal her (90 tons) and de-ash her will not be required. Other Sydney Heritage Fleet vessels are coal fired and John Oxley as an operating steamship with Howden forced draft and a locally manufactured “Sergeants” oil firing system benefits our collection. Sydney Heritage Fleet is fortunate that this vessel can be restored and will, in the main, meet USL/insurance requirements “as was in 1968″ without the need for additional propulsion, bulkheads or other major structural and configuration changes. At the Australian Maritime Museum Council Conference in Hobart on the 5th and 6th of February 2009, Mori Flapan presented a paper which addresses issues related to the operation of museum vessels. Below is the Abstract of that paper. Close to equivalent components will be used to repair the hull. While the original plate thicknesses varied from 8mm to 10mm, the repairs will use 10mm mild steel throughout; exempt where thicker material was used originally, as in the floors beneath the boilers and the main engine. The new plates will be riveted as in the original construction. Where inserts in existing plates are used, these may be welded. Ribs, frames and floors will also be repaired by using materials and methods that closely resemble the originals. Generally restore machinery fit out to late service life configuration so that she can operate as in this period with fully functional engineering fit out and including steering, oil firing, cargo winch/gear, and ammonia refrigeration set. The electrical system will be changed from a 110 volt DC dynamo set to 240 volt AC to meet safety standards. Retain and repair all existing mooring, anchoring, cargo and boat handling gear. Retain all existing navigation equipment. Modem additions to be near to non-visible. It is envisaged that Sydney Heritage Fleet may wish to install post 1968 safety equipment for the vessel to comply with basic USL requirements and certain hospitality equipment to address the need to operate her as a 1D or a 1E vessel to earn funds. the configuration of the vessel. Modifications for the purposes of convenience or improvement will not be considered. There must be a good argument based on safety grounds.